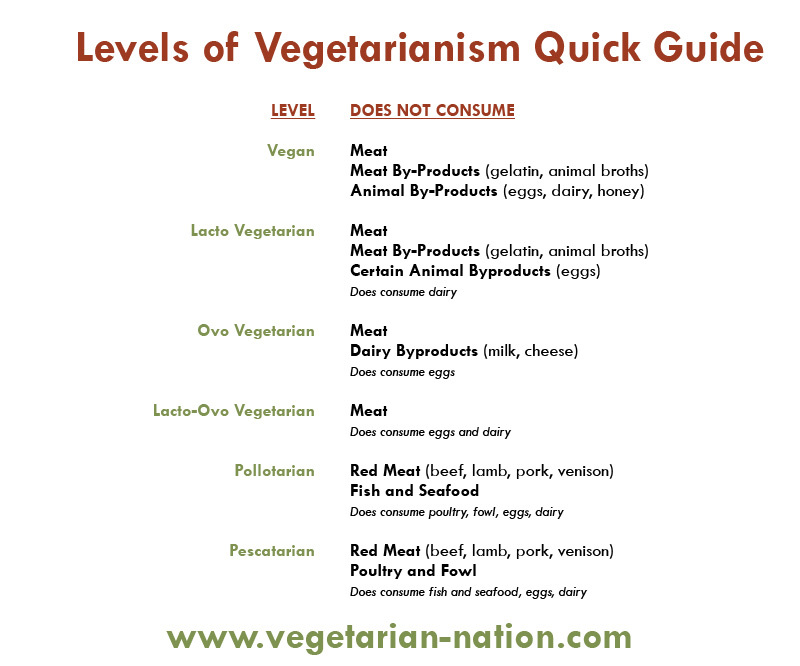 Q: What are the types or levels of vegetarianism? Vegan: Vegans do not consume any animal products or by-products. So vegans of course do not consume red or white meat, fish or fowl. They also do not consume eggs and dairy. Vegans do not use honey or beeswax, gelatin and any other animal by-product ingredients or products. Vegans typically do not use animal products such as silk, leather and wool, as well. Lacto Vegetarian: Lacto-vegetarians do not eat red or white meat, fish, fowl or eggs. However, lacto-vegetarians do consume dairy products such as cheese, milk and yogurt. Ovo Vegetarian: Ovo-vegetarians do not eat red or white meat, fish, fowl or dairy products. However, ovo-vegetarians do consume egg products. Pescatarian (Pescetarian): While technically not a type of vegetarian, these individuals do restrict their meat consumption to fish and seafood only. Pescatarians do not consume red meat, white meat or fowl. This is considered a “semi-vegetarian” or “flexitarian” diet. 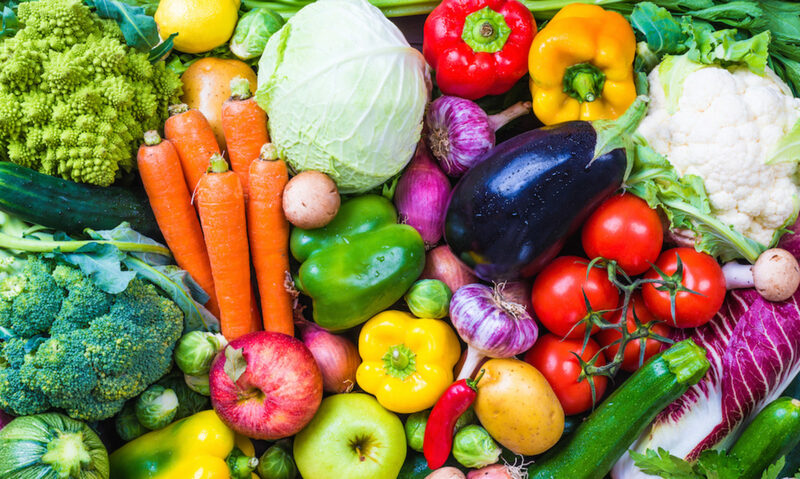 Flexitarian – A plant-based diet with the occasional meat item on the menu. These folks do their best to limit meat intake as much as possible and they have an almost entirely plant-based diet. This is not technically considered a “vegetarian” diet, but we commend the effort!